I want to talk about what happens when you bring home baby number 2. If you already suffer from mothers guilt times it by 2! Now not only are you worried about all the things you already felt guilty about with baby 1, you’re also concerned about splitting your time and not making one child jealous of another etc. You will for a while always be wiping a bum! Be that your own, one of your children’s or picking up poo from your cat, dog or hamster! A friend of mine used a phrase I’d like to steal. She said ‘all kids have their own brand of problems’. This becomes particularly apparent when baby number 2 comes home. Your toddler may decide to throw a tantrum, wet themselves, become completely defiant, aggressive towards you or the baby, stop going to bed… All of the above in a bid to gain back your attention. In my experience it tends to only be one ‘brand’ and it does stop! Never again. Never. You will get used to it. Growth grief sounds more serious than it is… What I mean is a sudden knowledge that one of your babies has gone! He or she starts to look so big, so old. And what’s more you start to expect so much more from them. 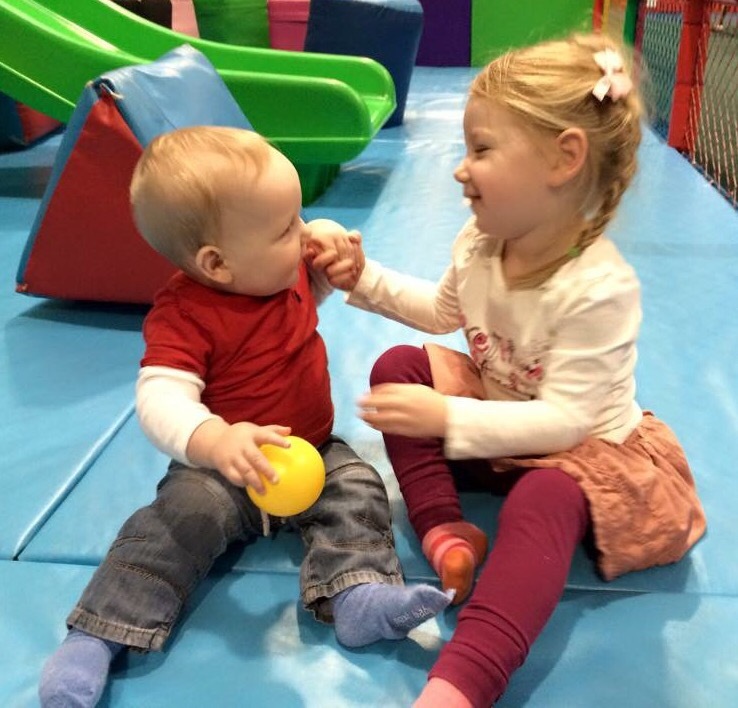 They will cope – afterall it’s fun being Mummy’s little helper! Watching my son and daughter grow together and become friends makes my heart want to burst. When they giggle together or hold hands I just melt. What’s more, their friendship makes my life easier! They occupy each other! My house is happily chaotic. I love the noise, the toys, and the fact that between them my 2 children make my home look like the Tasmanian devil has paid me a visit. So to all of those pregnant mummies soon to be bringing home number 2… DON’T FEAR! Just learn to love the chaos and revel in the busy-ness!